iPhone apps are getting more useful - no longer just games or gimmicks, iPhone app designers are using the functionality offered by iPhones (especially the latest model) / Blackberry etc to deliver helpful applications (see the iBurgh pothole reporter) as well as brand experience. 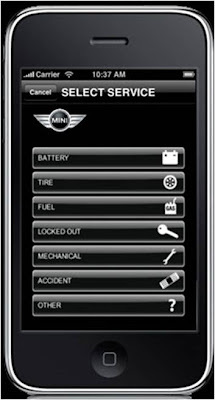 Mini have previously created an iPhone game and an Openness app to make life more interesting and MINI USA have now launched the MINI Road Assist application. 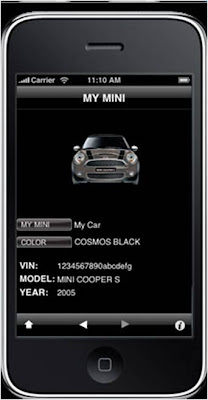 MINI Road Assist users download the app to their phone, enter their Vehicle ID number and personal information - even uploading a photo of their car if they want to. 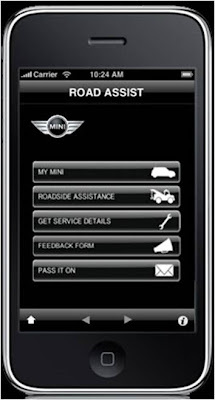 If the MINI owner then needs breakdown assistance they can then activate the Road Assist app, select their need and press the "call" button. The Road Assist app then transmits all the relevant information about vehicle, location and need directly to the relevant help centre. 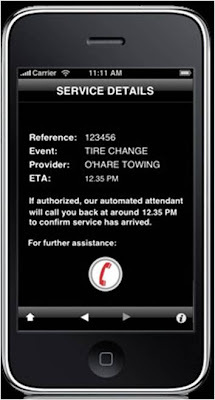 The MINI app then delivers an estimated arrival time for help and follows up to ensure everything has been resolved. Download the MINI Road Assist app here. (download only available to US).